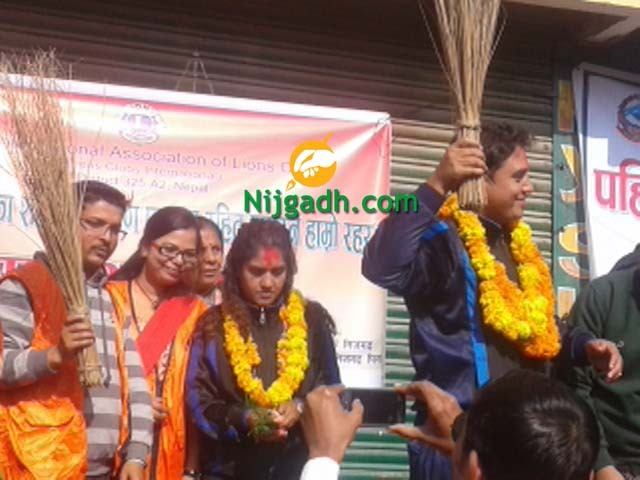 Nepali National Comedian actors "Dhurmus" aka sitaram kattel , "Suntali" aka Kunjana Ghimire and their team is in nijgadh for East west Highway Cleaning Movement. Almost Few weeks ago the moment started nationwide from east west highway arrived today in Nijgadh Muncipality Bara Nepal. People of Nijgadh are very greatful to them for their awareness programme. We will wish All the Citizen should learn and participates in such programme.